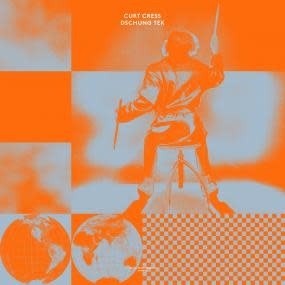 Music From Memory are back with their first 12” of 2019 in the form of a five track EP from prolific German drummer Curt Cress. Since the early 1970s Cress has worked with a number of high profile German bands such as Passport, Atlantis and Snowball as well as on cult Disco records with studio groups such as Tender Aggression and Chime. Working tirelessly as a session musician for countless German and International Jazz, Rock and Pop acts, Cress has also worked extensively as a Producer, most notably for Nina Hagen. Cress would also record a number of records as a solo artist, with his unique sensibility as a drummer given centre stage. MFM038 features three deep percussive workouts from his 1983 solo album Avanti, a record which has been a long time favourite the label. With the tracks Power Vein and Sundance now finally available on a loud 12” pressing. The EP also features two direct detours into House music by Curt with alternate versions of the forward thinking drum track Dschung Tek. Released in 1991 under Curt’s ‘C.C’ moniker, Dschung Tek has been another big favourite of the last few years at the label after a tip by way of their pal Tornado Wallace.